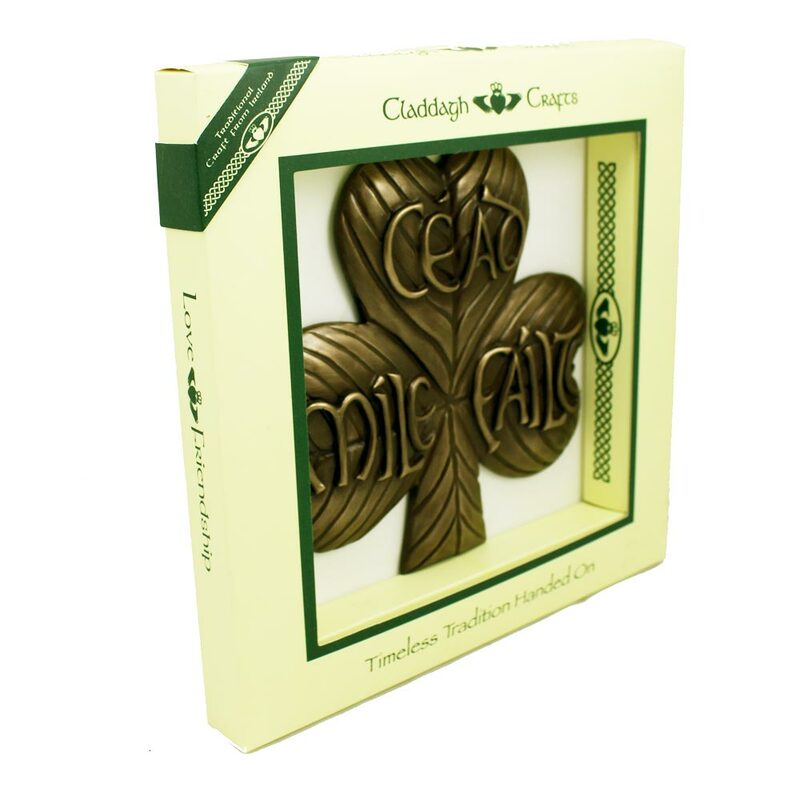 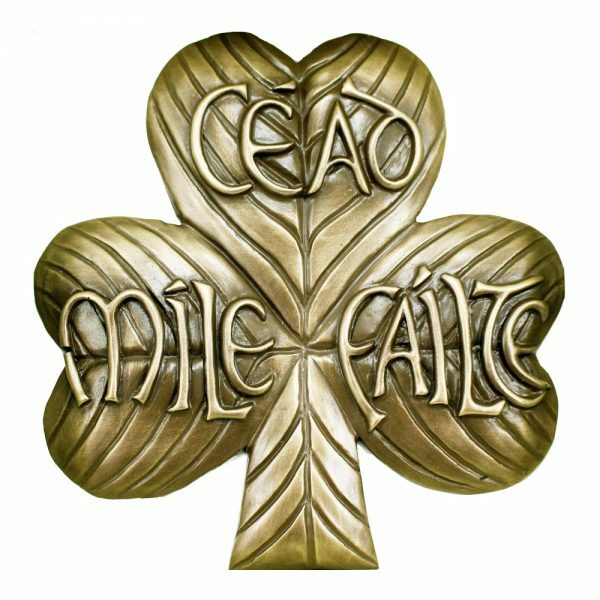 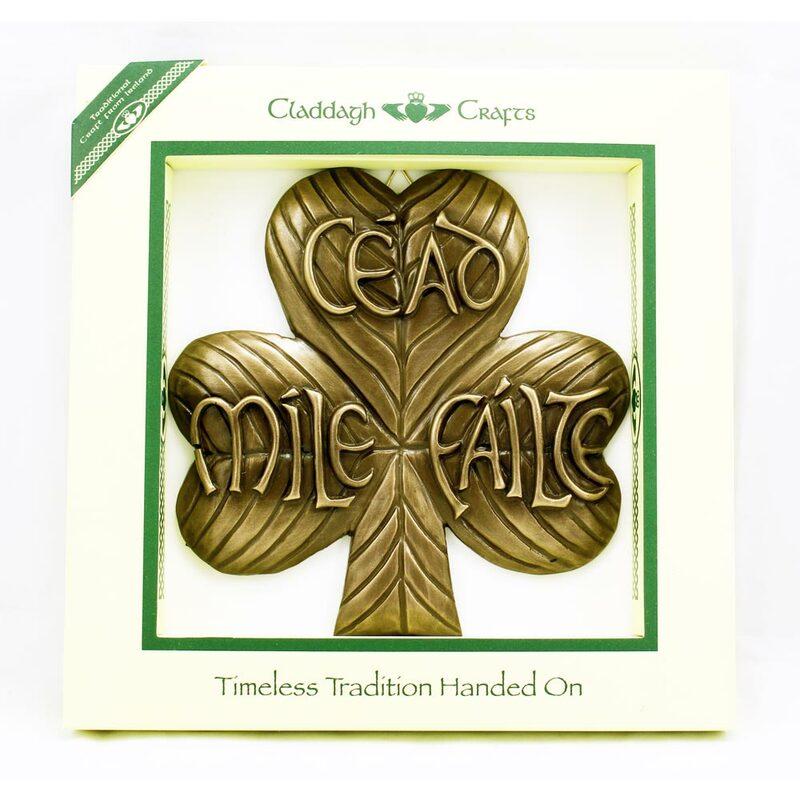 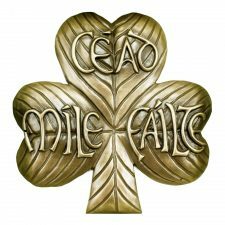 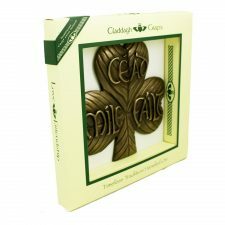 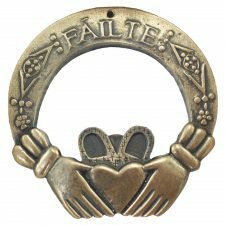 Shamrock shaped wall hanging with ‘Céad Míle Fáilte’, meaning ‘A Hundred Thousand Welcomes’. 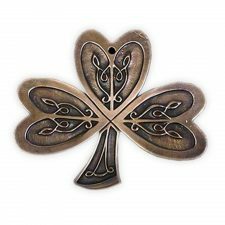 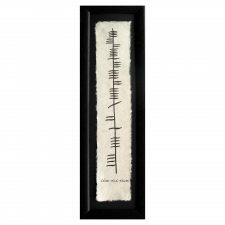 A clever eye-catching designed cold cast bronze wall hanging to welcome guests. 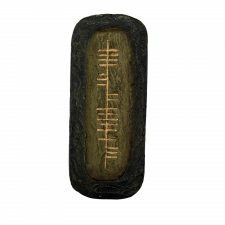 Approx dimensions: 17 cm x 17 cm, cold cast bronze.